When moisture is left to sit on an area of your home for over 24 hours, mold and fungi can easily begin to grow. The moment a property owner notices any sign of mold, they should contact the water damage experts of Charlotte at 911 Restoration Charlotte. Our Charlotte professionals will arrive to a site within 45 minutes of any water damage emergency to assess the situation by providing you with a free visual mold inspection. If it is determined that water damage is playing a factor in the mold growth, then our water damage Charlotte staff will repair that issue as well. Call our water damage Charlotte agents and our specialists are available 24/7/365 to go the extra mile to make your property a clean environment for you and your family. Our water damage restoration Charlotte professionals wants to make this whole ordeal as easy for you as possible, which is why we are licensed, bonded and insured to perform all aspects of a renovation job. You can count on our staff to implement the following mold remediation services when our water damage restoration Charlotte technicians are called to your home. With so many years of experience in the home restoration field our water damage restoration Charlotte agents know that usually when there is mold there is also unmitigated water damage. 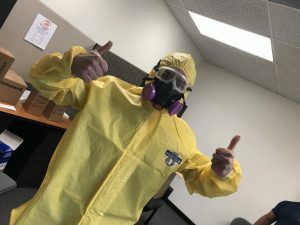 When our specialists gets to the scene of the infestation, our water damage restoration Charlotte pros will repair any flooding or leak issues that we find, so that reoccurring mold will not grow back. In addition, because of these winter months, we will also check for frozen pipes, to prevent any pipe bursts from happening. 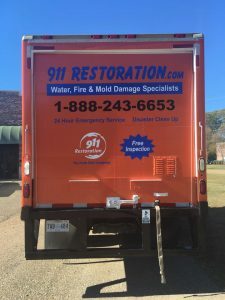 Call our crew as soon as you notice any water damage on your property and our water damage restoration Charlotte unit will remediate the issue immediately. 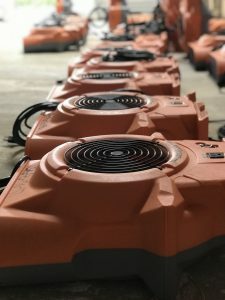 In order to ensure your safety, our mold removal Charlotte operation implements same day services for all water-based disasters, and our workers use the most advanced equipment in the industry. In a situation where your home is flooded by water, if the moisture is left to sit too long, our mold removal Charlotte members know that it can cause mold spores to develop into a full infestation. Our techs are expertly trained in all fungi, mildew and mold removal services, and our mold removal Charlotte experts know the magnitude of the situation. This why our professionals act fast, and make a concerted effort to implement comprehensive water removal, which includes using drying and mold extracting equipment. Our mold removal Charlotte team is aware that it only takes 24 hours to mold to begin growing, so call our staff right away to get thorough cleanup services and keep your home safe place. Sewage spills are dangerous situations that can adversely damage your home and could have severe effects on your health due to the biological contaminants found in sewage. Toilet overflows usually occur whenever there’s pressure buildup in the sewer system and that pressure is then released into your home. When this happens, promptly call the sewage backup Charlotte team to clean up that mess. Our hazmat gear will make it possible for us to work on the problem safely. Our sewage backup Charlotte team will get rid of the sewage using our advanced water removal equipment, and once cleared, we’ll be disinfecting the area using our industrial grade cleaning detergents. Once completely cleared, our sewage backup Charlotte technicians will follow up with restorations that will get rid of all the foul odors and repair all the damage done. Call our sewage backup Charlotte experts today! A house fire is one of the most destructive issues that can plague a home. Even when put out, it’s going to take a comprehensive restoration process to get everything back in order. With that being said, the fire damage restoration Charlotte team from 911 Restoration has the answers you’re looking for. Our solutions will address all the problems left by a fire, namely ash, soot, structural damage, and the water left over from putting out the fire. We’ll make sure all that water that water is removed. Using our vacuums and blowers, we’ll get rid of the ash and soot clinging to walls and vents. We’ll be getting rid of the smoky odor with our thorough cleaning process. Lastly, all the damage done to your property will be restored by our fire damage restoration Charlotte team. So give us a call today! Our disaster restoration Charlotte team are the best workers for you to contact when you need help with leak and flood damage repair. Making this whole ordeal smooth and calm for you is our goal, which is our staff try to be constantly accessible to homeowners. We know how important it is to answer your questions as soon as you have them, that way all your concerns are quelled immediately by our disaster restoration Charlotte agents. By providing you with a high level of customer service our disaster restoration Charlotte specialists hope to make the water cleanup procedure absolutely painless for the homeowner. Once we are involved, you do not have to do anything. Our disaster restoration Charlotte crew will take care of it all, from organizing the home restoration to filing your insurance claim for you. Let our unit turn your water damage discovery into a fresh start, and call our disaster restoration Charlotte operation crew today!